Quick summary: Students will investigate the production and recycling of aluminium using deodorant cans as a context. They will investigate the costs of manufacturing aluminium from raw materials and compare these to recycling figures. Students will identify relationships showing direct proportion and use relevant formulas to calculate values related to aluminium production and carbon emissions. Students will understand the impact of recycling aluminium. Students will be able to recognise directly proportional quantities. Students will able to apply direct proportion formulas to solve problems related to the production of aluminium from raw and recycled materials. Solve problems involving direct proportion. Explore the relationship between graphs and equations corresponding to simple rate problems (ACMNA208). Relevant parts of Year 9 Mathematics achievement standards: Students interpret ratio and scale factors in similar figures. Level of teacher scaffolding: Medium – teachers will need to guide students through various parts of this lesson, particularly the introduction, to ensure students understand the background knowledge. Device capable of projecting images to the class. Empty or full deodorant can (or a few). 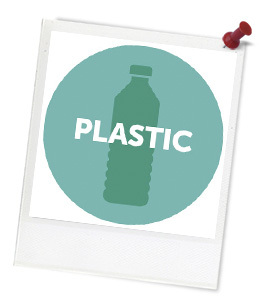 Keywords: Recycling, aluminium, aerosol cans, rate, ratio, direct proportion, deodorant cans. Students can recall proper recycling methods for metals. Students can recognise proportional relationships. Students can solve for the proportionality constant, k, using formulas and aluminium production values. Students can calculate the bauxite requirements and carbon emissions using direct proportion formulas. Thought starter: Deodorant cans - Where do they come from and where do they go? Part A: Introduction – Where does my deodorant can come from? 1. Your deodorant can is made from metal, but what kind of metal? Do you know? Or can you guess? Record your ideas below. 2. Have a look at the Visy Raw Materials Chart and use this to to state what deodorant cans are actually made of, and what raw materials are used to produce these metals. 3. 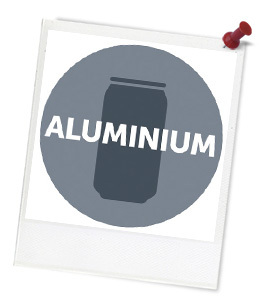 Read through the following sections of the Aluminium Factsheet: “How is aluminium made?” and “How much energy does it cost?”. As you are reading, identify four directly proportional relationships and calculate the constant of proportionality, k, for each. Hint: The input values for each relationship should be y, and the output values should be x.